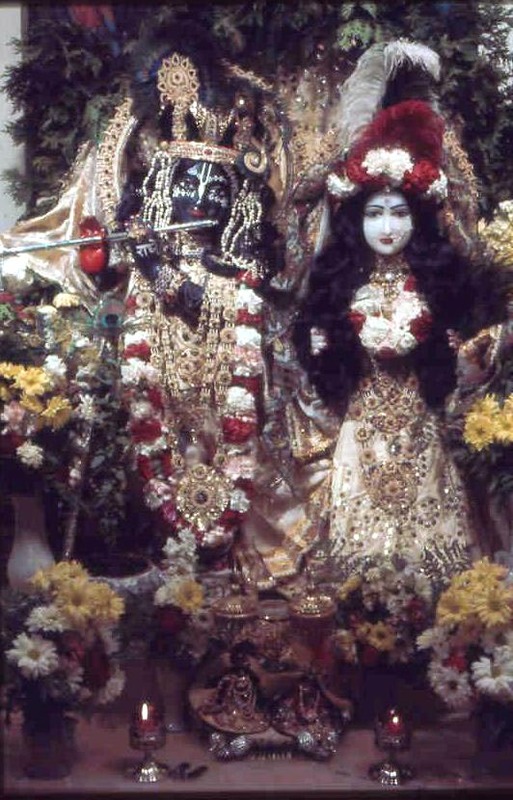 "When the transcendental sound of Krsna's flute is heard, the devotee's anxiety to continue to hear that flute enables him to penetrate the covering of the material world and enter into the spiritual sky, where the transcendental sound of the flute enters the ears of the followers of the gopis. The sound of Krsna's flute always resides within the ears of the gopis and increases their ecstacy. When it is heard, no other sound can enter their ears, and amongst their family they are not able to reply to questions properly, for all these beautiful sounds are vibrating in their ears."